When I buy a magazine or comic for the boys, it’s generally because they want whatever plastic toy is on the cover. Generally they don’t work, or work for a very limited time and I’ve wasted around £3.99. 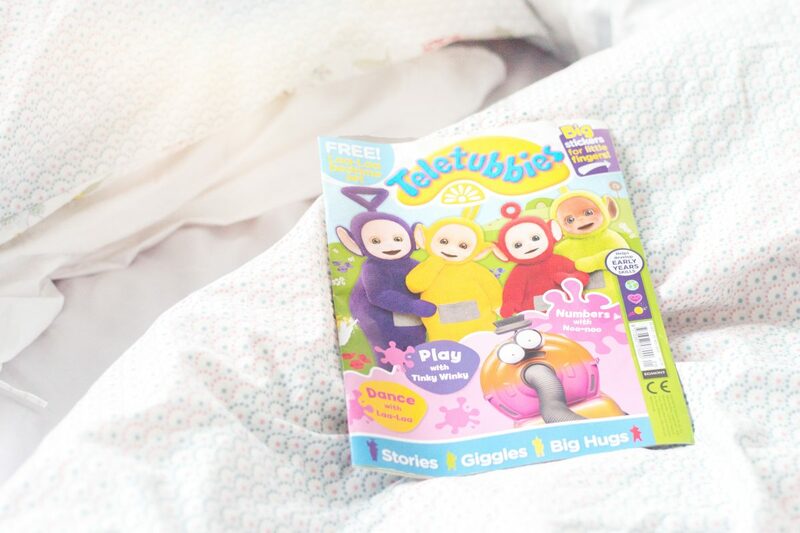 I rarely get to take a look at their comics and so when we were offered the chance to review the new Teletubbies magazine, I decided to have a read in peace before they saw the pretty Laa Laa toy on the front with her little bed and blanket, took her and discarded the actual magazine. So often I read that a magazine “supports the early learning goals” and so as a former teacher – or should I say, former class teacher – I obviously teach my boys at home, I decided to put my old cap on and take a look. The boys love the Teletubbies, Hero is stilll towing Noo Noo around with him and so I was looking to see just what I, as a parent, would be getting by buying the magazine. The magazine comes with a little Laa Laa with her bed and blanket. There are little touches inside the magazine such as a maze for Laa Laa to follow on her way to bed, which was such a fun way to incorporate the toy initially. I loved how she had a purpose – and that instead of just a random toy, inside the magazine it also described just how interacting with the toy could benefit my boys, especially Hero, who’s two. Fine Motor Skills – an obvious area of development as little fingers pick up and play with Laa Laa, her bed and blanket. 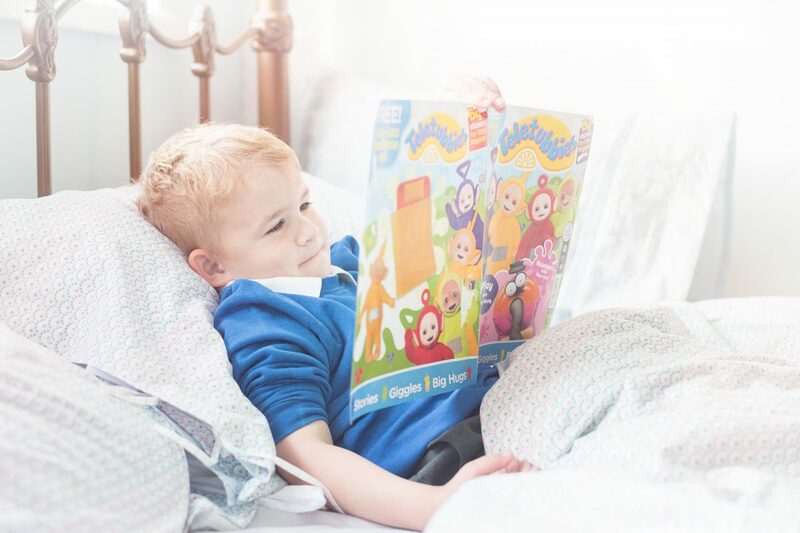 Understanding the World – Laa Laa’s bedtime routine can be acted, and talked about – how we all go to bed at the end of the day and how we get ready by putting on pyjamas and cleaning our teeth, having stories and tucking our blankets in. Social Development – talking about how we like to feel in our beds, and how Laa Laa needs to feel warm and secure in her bed can help emotional development. 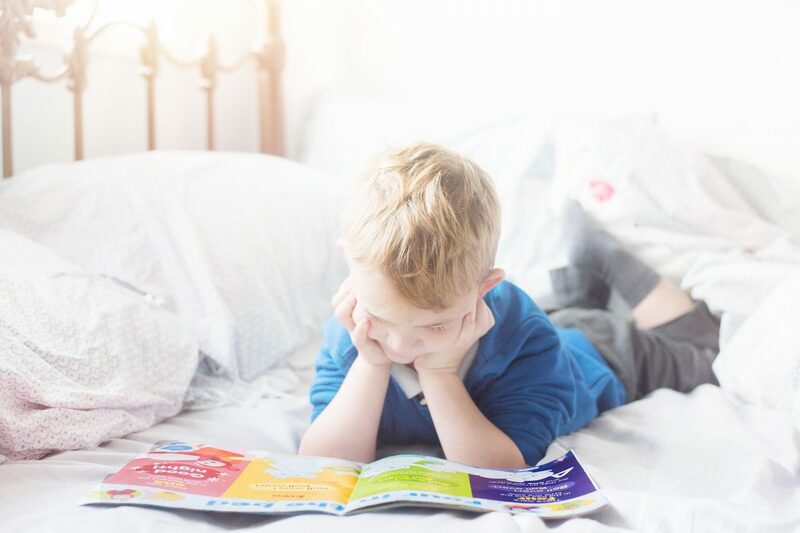 It’s educational and fun – as a parent I’d be very happy if my boys wanted to buy the new Teletubbies magazine – there’s something to do on every page that’s fun and engaging, and supportive of early learning goals.